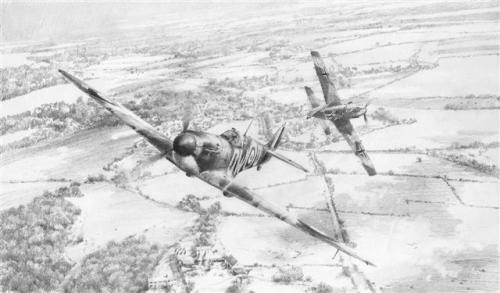 Hurricane Mk1s of 303 “Koœciuszko” Polish Squadron RAF climb steadily out from Northolt to intercept yet another incoming Luftwaffe bomber formation heading for London in September 1940. 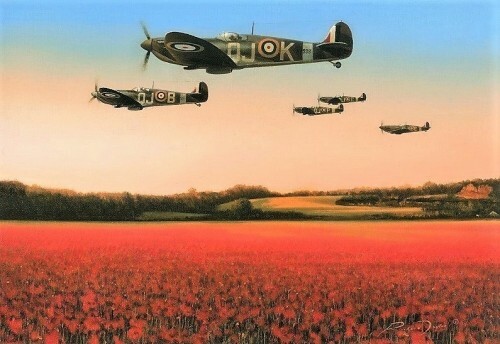 Ably led by Canadian Flight Commander, Flt Lt Johnny Kent, the battle-hardened Polish pilots will soon be engaging the enemy over Southern England, their Hurricanes once again in the thick of the action. On 6 November 1935, a prototype aircraft took to the air for the very first time. As Sydney Camm’s sturdy, single-engined monoplane fighter climbed into the sky, few realized that it was destined to become one of the enduring symbols of the greatest air battle ever fought. 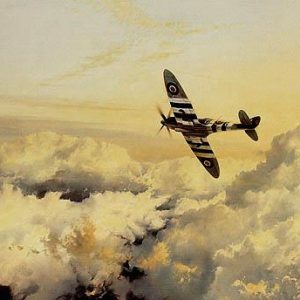 Its name was the Hawker Hurricane. 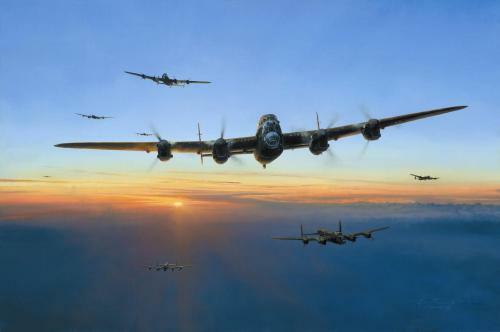 Robert Taylor’s evocative new painting, Undaunted by Odds, is a moving tribute to the Hurricane and the gallant pilots who flew it in combat. 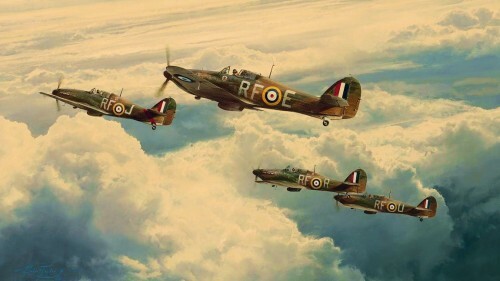 The prints in this outstanding edition have been endorsed with the original signatures of pilots who flew and fought with the Hurricane throughout World War II, creating a lasting and historic tribute that will prove highly collectable for many years to come.